With 4 Double Bedrooms, 3 Bathrooms, Sleeps 8. 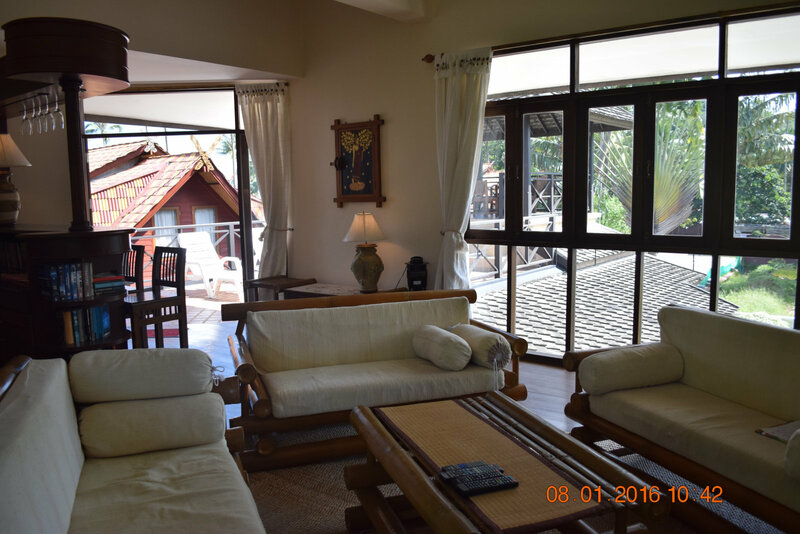 The villa is very well Furnished, Equipped and Maintained. The Ground floor, Lounge/Kitchen/Dining Area with a built in Modern Kitchen. The Kitchen is has an Oven, 4 ring Hotplate, Microwave, Coffee Machine, Toaster, Rice Cooker and ample Cooking Utensils, Crockery, Glassware and Cutlery. Outside is a large Pool and Garden with covered Terrace, ideal to just relax or for Al Fresco Dining. It is a short walk through the Tropical Garden, passed the large Communal pool to the Magnificent Beach. The First floor has 3 Double King size Bedrooms with en suite Bathrooms, leading out onto the Pool Terrace. There is also a Twin Bunk Bedroom approached via the Porch Entrance. All the Bedrooms are fitted with Air Conditioning. Upstairs is a living Area, Bar, and Sala on the Roof terrace. There are many local Bars and Restaurants within walking distance. 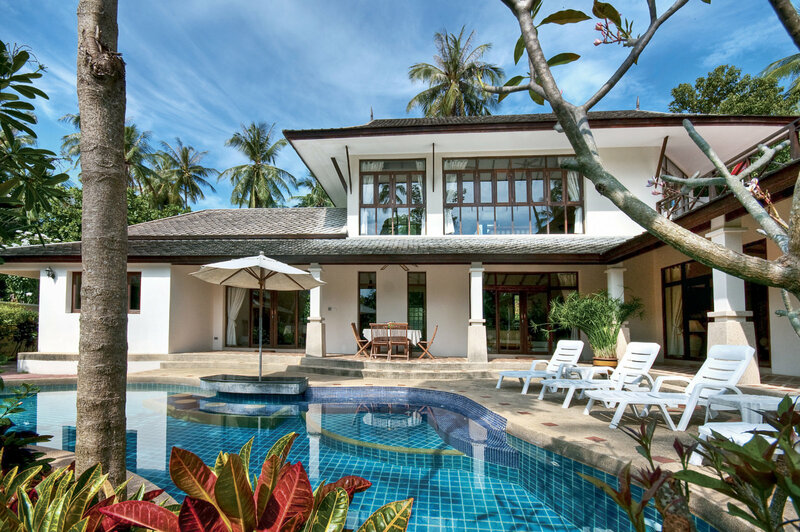 This villa has an adjoining wall with P11 Villa. 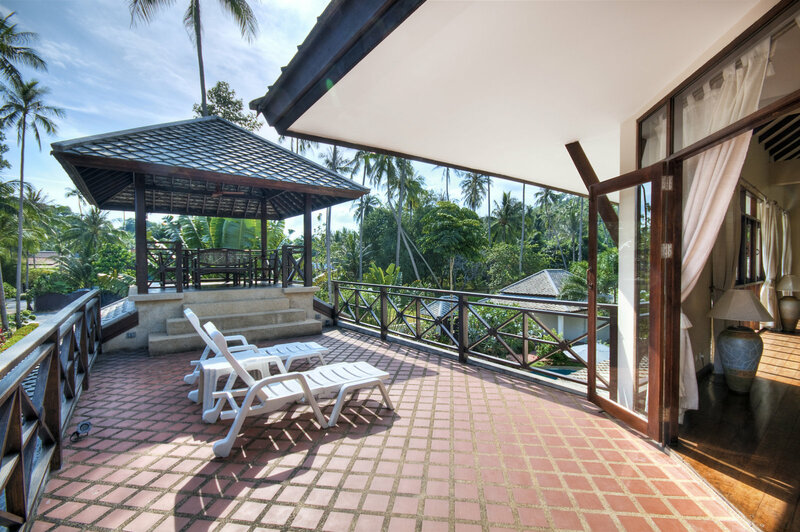 Both villas can be rented together. There is a sliding gate which can be opened making a larger complex, to suit a larger family/Friends group. 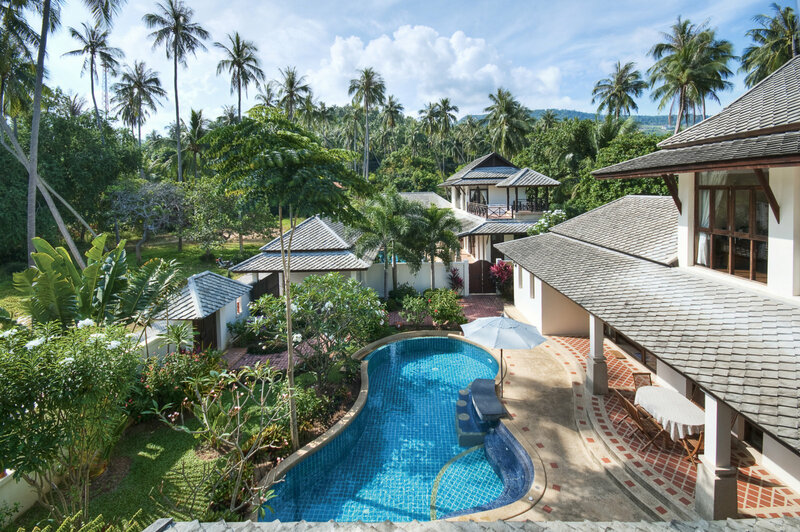 The villa also has use of the complex’s larger communal pool.